impacts of Typhoon Yolanda on some of the player’s lives. 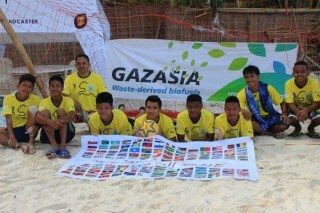 Gazasia, alongside DHL, Puma and Air Asia Zest, were proud sponsors of the 2014 Sama-Sama Football Games, which were held in May in Boracay, Philippines. The Games, organised by FundLife, were a celebration of unity and dignity for young people from polarised worlds, through the universal language of Sport. This year that message was even more significant after the devastating impact of Super Typhoon Yolanda. Marco Kasic, organiser of the Sama-Sama Games for the past three years, said he understands how football can become a form of therapy for disaster survivors. 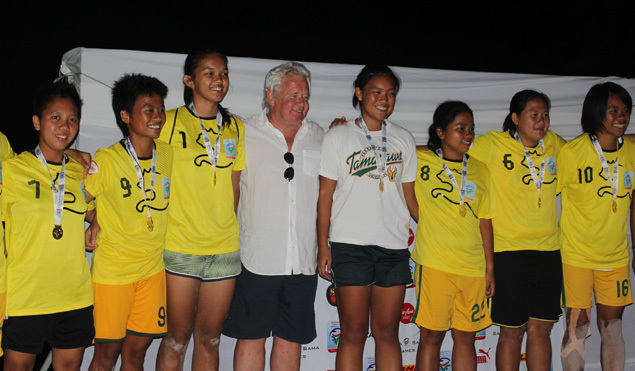 Many of the players described football as an escape from the devastation of Yolanda. That’s a great way to show these kids that if they can adopt the same attitude off the field, both the privileged and the underprivileged, if they treat each other with the right respect, the world and our lives would be better.